Mazda is recalling select 2004-2008 RX-8 vehicles. There is a possibility of breakage of the main fuel pipe, which then could cause a fire hazard. Toyota is recalling select 2016-2017 Tacoma vehicles with a six-cylinder engine. This is due to a faulty crank position sensor, which may result in the engine stalling. Hyundai is recalling select 2013-2017 Santa Fe and Santa Fe Sport vehicles. This is due to a hood latch issue that prevents the hood from latching and could lead to the hood flying open while the vehicle is being operated. Hyundai is recalling select 2015-2016 Sonata and Genesis vehicles. This is due to the parking brake light not working properly. Porsche is recalling select 2010-2012 Panamera S, Panamera 4S and Panamera Turbo vehicles, 2011-2012 Panamera and Panamera 4 vehicles, and 2011 Cayenne S and Cayenne Turbo vehicles. This is due to a possible loose camshaft that can result in an engine stall. 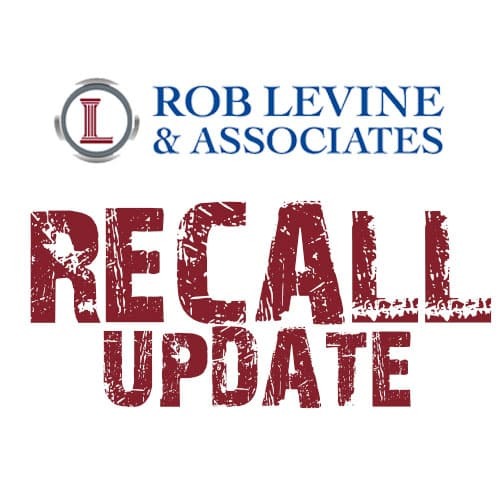 BMW is recalling select 2013-2015 740i, 740Li, 740Lxi, 750i, 750Li, 750xi, 750Lxi, and 2014 Active Hybrid 7 vehicles. This is due to a possible incorrect replacement of left rear taillight assemblies. At Rob Levine & Associates we are experienced in personal injury cases in Rhode Island, Massachusetts, and Connecticut. Our team is available 24/7 to help you. Contact us at 800.529.1222 or visit our website for more information.